We’d love your help. 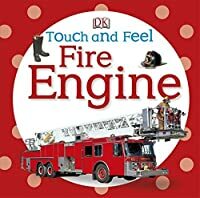 Let us know what’s wrong with this preview of Fire Engine by DK Publishing. "DK's beloved bestselling series gets a fresh new look!" With a sparkling new look, these bestselling DK classics are sure to become classics for a whole new generation of young readers. Babies and toddlers will be drawn to the captivating, tactile pages, and will want to touch, feel, and explore every one. 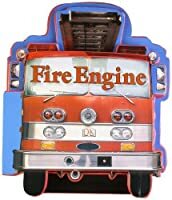 To ask other readers questions about Fire Engine, please sign up. Solomon liked the hard, scratchy grille page and liked scratching it. Great book for my little girl. 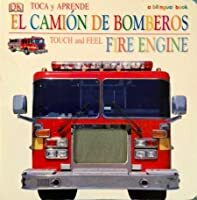 Both grandpas were firemen, so the book teaches her about firemen and her grandparents. The book has clear pictures and my daughter likes to look at the faces. With the addition of little patches to feel, she is entertained when we go through the book and I place her fingers on the different textures. Great little book for little ones.